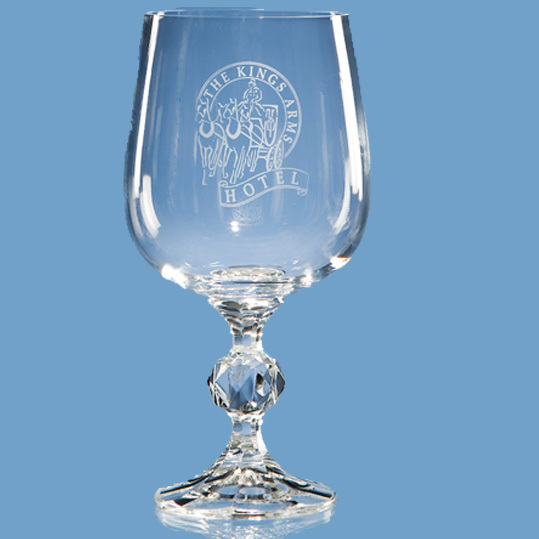 The distinctive lead crystal 340ml Claudia large goblet with a facet ball in the stem is great value and would make an ideal presentation gift. It can be personalised with any crest, logo or wording to create a gift that is sure to take pride of place when put on display at home or at work. Options available include single or double satin lined presentation boxes.